The Les Bleus are here to take on the mighty Springboks! 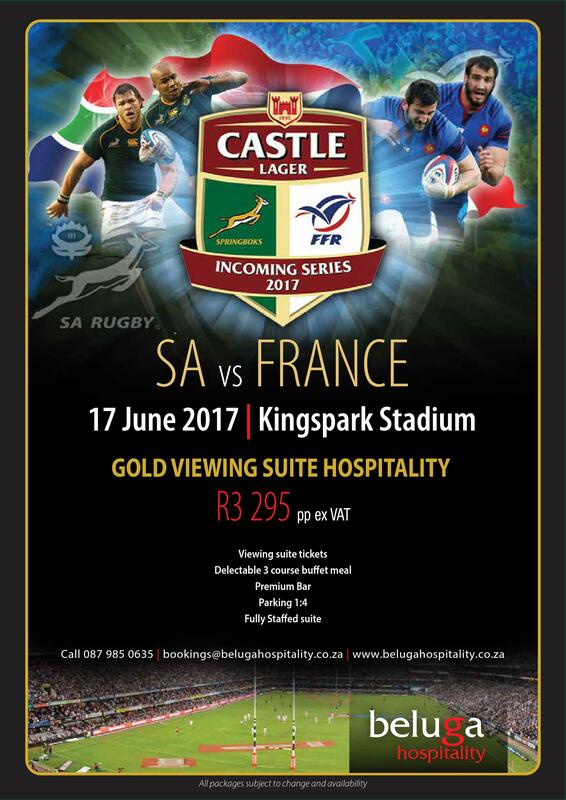 The Castle Lager Incoming Series will be contested between South Africa and France in three test matches during June. Come and join Beluga Sport and Entertainment in one of our premium hospitality facilities and be sure not to miss out on any of the action. Contact Grant Wilson on 082 466 4122 or grant@belugahospitality.co.za to book your packages or tickets for this test match.